City of Duluth Parks and Recreation is excited to announce the 2019 Spring Co-Rec Ultimate Frisbee Adult League at the Duluth Heritage Sports Center! The league will build upon the growing participation in ultimate in Minnesota and provide women and men additional opportunities to play ultimate. The league will work to improve team-building, cooperation, and camaraderie for all looking to get involved with ultimate. All skill levels are encouraged to register! Individuals will register as "free agents" and will be drafted onto a team and informed prior to league start. Basic skills and experience questions are asked to help balance teams as best as possible. Registration is open to participants 16 years old and older. Duluth Heritage Sports Center is located at 120 S 30th Ave W, Duluth. League play occurs from 7-9p on Tuesday evenings from April 16th through May 28th. Registration Begins: March 1st, 2019 and runs through April 10th, 2019. The City of Duluth offers men’s, women’s, and co-rec recreational softball leagues. All players must be at least 18 years of age, unless they are 17 and have just graduated from high school. Games will be played on Monday, Tuesday, and Thursday nights at the Wheeler Athletic Complex. Registration Begins: March 25th, 2019 and runs through April 26th, 2019. Flag Football is a fun, non-contact sport that teaches boys and girls in grades 2nd through 6th the fundamentals of football, while offering lessons in sportsmanship and teamwork. Games are typically scheduled for Tuesdays and Thursdays. All games are played at the Wheeler Softball Field Complex at 3501 Grand Ave, Duluth MN 55807. Child's grade is based on the 2019-2020 school year. Duluth Golf proudly offers golfers two outstanding golf facilities with 27 holes each. Both facilities are managed by Bill Casper Golf. 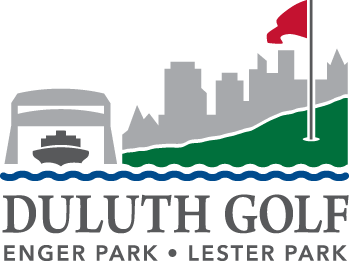 Just south of downtown set atop a high bluff, Enger Park treats golfers to enjoyable experiences and breathtaking views of Duluth Harbor. Built in 1927 near the historic Enger Park Tower, the 27-hole course features three, distinct parkland-, links- and traditional-style layouts. Ranging from 3,168 to 3,359 yards, the par-36, “Front 9,” “Middle 9” and “Back 9” presents golfers with distinct experiences as several holes run through densely wooded areas while others navigate around scenic ponds and strategic bunkers. Four sets of tees ensure fun but fair tests for all handicappers. Just north of downtown, is well known for its natural beauty and panoramic views of Lake Superior on 20 of its 27 holes. Opened in 1932, the classic layout is set alongside the Lester River and meanders through open expanses and densely wooded areas. At 3,182 and 3,189 yards, respectively, the par-36, “Front 9” and “Back 9” courses present golfers with generous fairways, exciting elevation changes and gently undulated greens. The “Lake 9” course was added in 1985 and offers a longer and more challenging layout at 3,417 yards.